Tata Group has joined hands with General Electric Ventures, Microsoft Ventures and others to set up a new technology incubator in Israel. 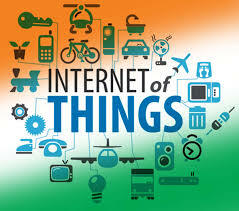 “With the first closing of US$20 million, the incubator called i3 Equity Partners (i3) will focus on developing next-generation IoT (Internet of Things) and IIoT (Industrial Internet of Things) technologies,” a Tata statement said here. Qualcomm Ventures, HNA EcoTech, Pitango Venture Capital, and RAMOT, the business engagement center of Tel Aviv University, are the other partners in the venture. Essentially IoT, fuelled by machine-to-machine communication refers to microprocessor and sensor fitted gadgets or ‘things’ within a network talking to each other, swapping real-time data to perform specific actions, with computer-connected individuals engaged in remote monitoring. The Tata Group, along with the other partners, will support early-stage Israeli ventures, enabling them to reach advanced phase of development, and ultimately strengthen their presence in global markets. “The partners, on their part, expect to tap the acclaimed ingenuity and know how of the Israeli tech industry, for growing their enterprises in the field of IoT, which is expected to transform how industry operates and how individuals live, work and play,” it added. With headquarters at the TAU campus, i3 will be headed by Managing Partners, Noga Kap and Eran Wagner, both Israeli entrepreneurs as well as investors with experience in early-stage investments, and chaired by Shlomo Nimrodi, Chief Executive Officer of RAMOT. “We hope to provide guidance and mentorship to the start-ups based on our experience of operating across a range of sectors, across multiple geographies. We could also potentially help start-ups scale easily by facilitating better access to market,” KRS Jamwal, Executive Director, Tata Industries, said. “This collaboration will help us identify and support breakthrough innovations in IoT, and look forward to having early access to new technologies with a focus on high quality products and ideas that will develop through this initiative,” he added. i3 will annually provide 3-5 high-potential seed and pre-seed start-ups with financial investments of up to $1 million each, access to supportive multinational corporations at all stages of development, and centre of excellence with office space, among others. The support from multinational corporations would entail technology validation, design, proof-of-concept, later-stage investments and purchase of mature technologies and their distribution in high-potential markets — including China and India, said the statement.